On Tuesday, May 26 the Class of 2017 held elections for junior class officers. 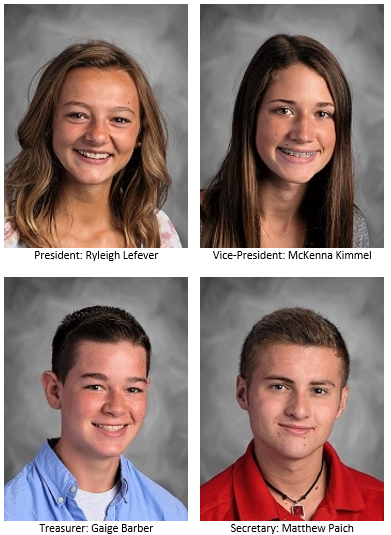 Congratulations to President Ryleigh Lefever, Vice-President McKenna Kimmel, Treasurer Gaige Barber, and Secretary Matthew Paich. The junior class is advised by Mrs. McCanna.